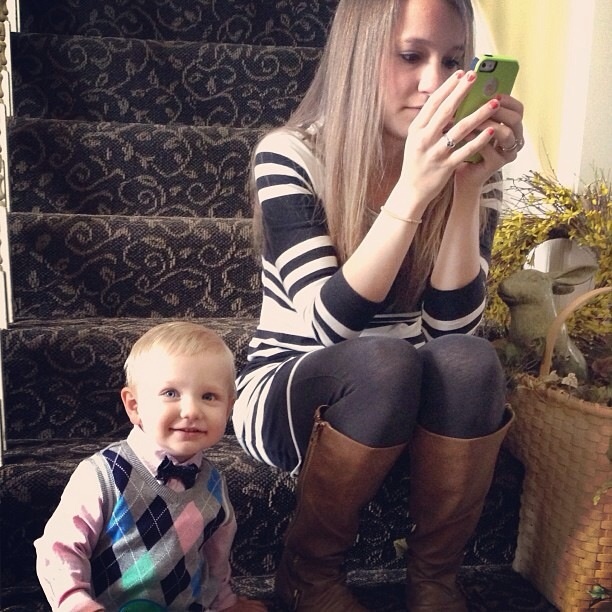 This post was originally written by Sarah Brooks for her blog over at Life as of Late. Her blog is a great (and hilarious) commentary on parenting little ones, but she also has a unique and honest perspective on parenting teenagers in a digital world. 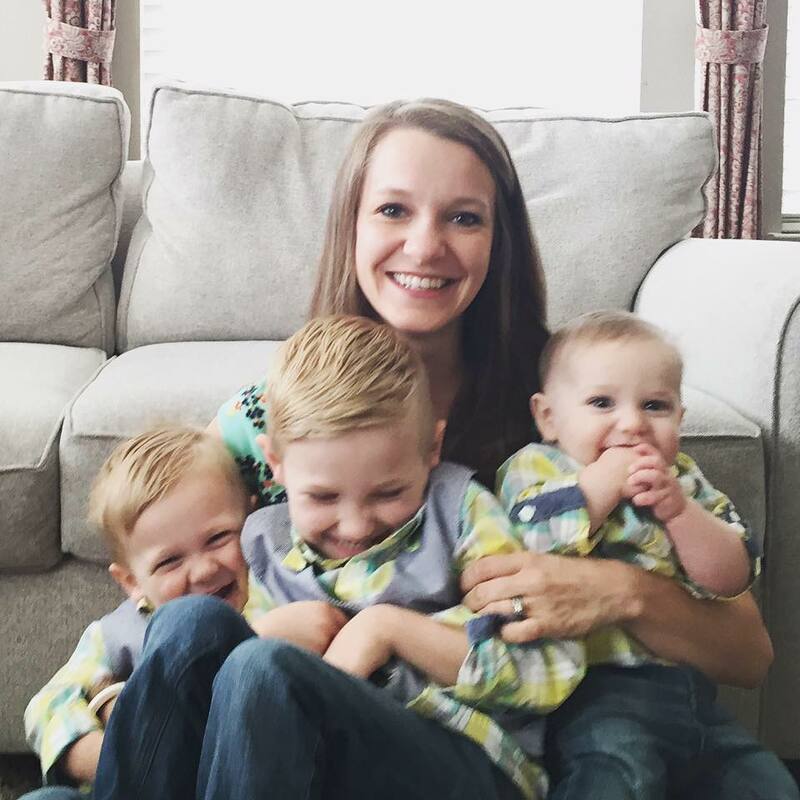 We wanted to share this post here because we love the heart and suggestions behind this blog, BUT we also wanted to share this so you will head over to her blog and give her some love. If you are struggling with how to parent in the midst of Snapchat, Instagram and other social media sites, she is your gal, and her posts on social media will change your life! Thanks for sharing your wisdom with us, Sarah! Junior high is a rough time. It’s awkward, it’s pimply…you’re trying to figure out who you are and where you belong. You’re trying not to panic about your body parts that are growing and doing weird, new things. Junior high is a lot of social experimentation. Not necessarily experimenting with drugs and alcohol, more like experimenting with friendships. Learning what is kind vs. what hurts people’s feelings. Learning what traits draw others in vs. alienate the general population. Learning the difference between high-energy and just plain obnoxious. I wouldn’t wish my junior high self on my worst enemy. When I had a bad day in junior high – when I was super obnoxious and alienated everyone in the vicinity with my hyperactive energy – I got to go home, relax, maybe watch an episode of Sabrina the Teenage Witch, and start again the next day. My social life took a break at 3pm and reconvened in the morning. If social media is communication for teens….if social media is their social life, then as long as they have a phone in their possession, their social life never ends. Their friends follow them home in their pocket. They sit with them on the couch. They hang out in their bedroom. Their bad days don’t just last from 7:30am to 3pm, they last 24 hours a day, 7 days a week, 365 days a year. They do a terrible job of unplugging. 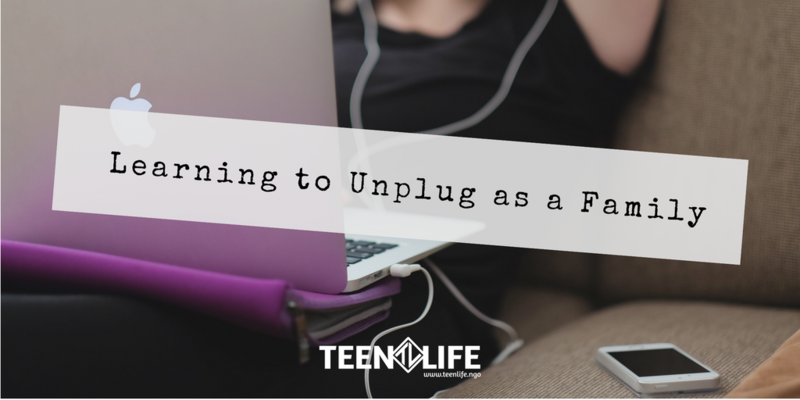 We do a terrible job of unplugging. We can’t expect our kids to know how to unplug when we’re still replying to work emails at 10pm. We can’t expect them to turn it off when we spend every spare second mindlessly scrolling through Facebook. I don’t have teenagers. I have small kids. But all too soon those kids will grow into junior high kids. And then high school kids. And I don’t want to wait until we have an issue before we start setting technology boundaries. And, really, I don’t want to wait until I see a screen addiction in my children before I start addressing the addiction in myself. So here are a few of our family rules. It isn’t exhaustive, just some ideas that are helping us pave the way now for better conversations later. Not yet for teenagers, for ourselves. For our family. Oh, ok, daggers in my heart. Here’s the thing: I was emailing a friend of mine about a fundraiser we were having to support orphans in Africa. I mean, couldn’t have been doing anything better with my phone. But did my son see it that way? No. He saw a mom with a screen in front of her face. It’s not about never being on your phone. It’s about finding good times and places to use technology. It’s about asking your spouse and your kids, “Hey, when am I on my phone when you wish I weren’t?” Turns out there’s always an answer. If you’re going to watch tv, watch tv. If you’re going to play on the iPad, play on the iPad. If you’re going to read on the Kindle, read on the Kindle. It’s ridiculous to play Candy Crush while watching tv while texting while watching YouTube videos. That’s a straight up self-control issue. Cut the double, triple, quadruple screen time. Choose one and go with it. Can you imagine what would happen if we reached for something other than our phone first thing in the morning? Can you imagine if we started our day with our spouse and with our family instead of with the world? Work? Instagram? When Daddy comes home from work, we put down the Kindle and run to greet him. When grandparents FaceTime, we pause the tv and talk to them. When friends are over, screens get turned off and put away. We’re not on our devices all the time. Not even a lot, really. But if there is ever a choice between greeting someone we love and continuing to watch Paw Patrol, the screen will never win. And if my kids have a hard time turning it off or putting it away without whining, we lose the privilege for a while. People are more important than technology. Always. Unplugging is hard. But watching our kids learn their value and identity from an online world they don’t know how to turn off is harder. We’ve got to figure out how to unplug well now. WHAT RULES DO YOU HAVE FOR YOUR FAMILY? impart your wisdom, oh interwebs.